Hard to believe it is already that time, but summer is just around the corner, and it’s time to start thinking about summer camps. Do you have a rising kindergarten or 1st grader? Want them to feel more comfortable about their transition to their new grade (and for some, new school)? Join Morris Brandon faculty and staff for a week-long summer camp to help with those transitions. See our registration flyer for more information and please spread the word! In first grade, the students are becoming strong spellers and readers. They will develop fluency in math facts, skip counting, and telling time to the hour and half hour. We explore and research topics like weather, light, sound, magnets, animals, plants, continents, landforms, and influential individuals. We use Saxon Phonics and Eureka Math. First graders do nightly homework and some may get the opportunity to do book reports. At our school media center, first graders are allowed to check out 2 books at a time. 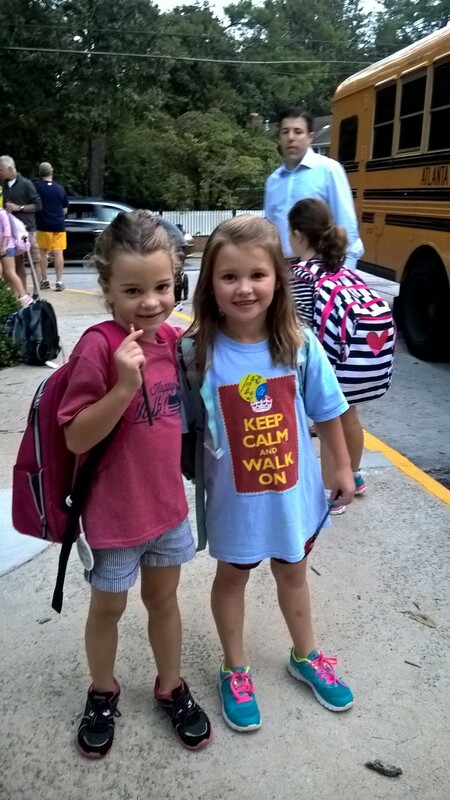 Some of the special traditions we have in 1st grade include attending several performances, enjoying in-house field trips conducted by High-Touch High-Tech, and taking a trip to the Chattahoochee Nature Center at the end of the year. More information on field trips will be made available toward the beginning of the school year! The total cost for field trips will be announced soon, and parents can pay online directly to APS by clicking HERE once more information about the trips exists. Students should wear a Morris Brandon shirt on field trips. To order a shirt click HERE. The schedule for the 2017-18 field trips will be published soon.